From work to play, amp up your style with the MCM® Medium Rabbit Pouch. Zipper pouch made of strong coated canvas with genuine leather trim. Signature brand logo emblem accentuated by playful rabbit and carrot motifs embossed throughout. Exterior back-wall features slide storage compartment. Custom interior lining features back-wall zipper compartment and front-wall slide storage pocket. 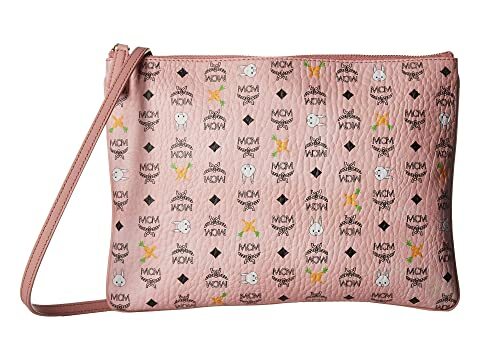 We can't currently find any similar items for the Rabbit Pouch Medium by MCM. Sorry!